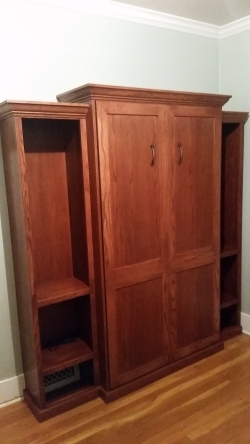 A vertical twin in our Shaker style. Custom side bookcases with shelving. 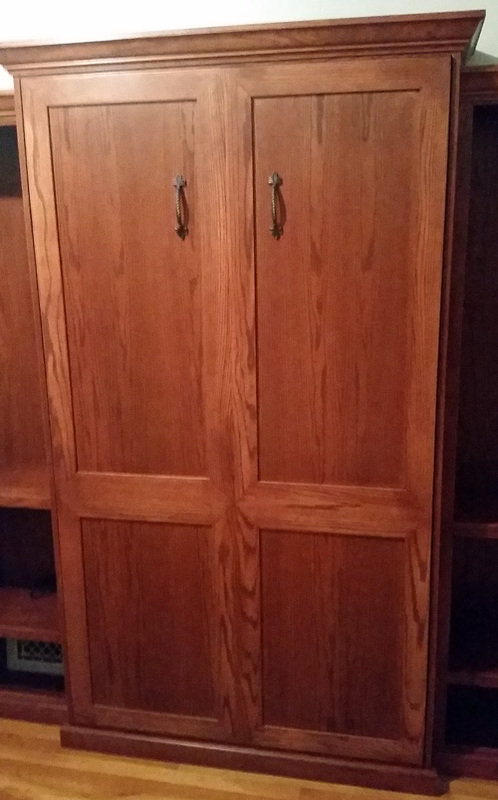 Finished in a custom brown Mahogany wood stain. Installed in Historic Colorado Springs "Old North End".